The bulb is not included. 25W Light Bulbs recommended. 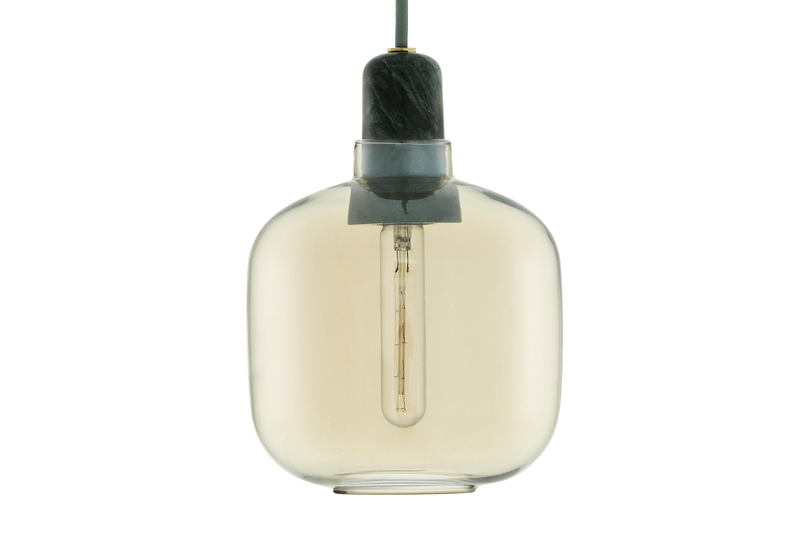 The decorative bulb emits a stunning glow though glass lampshades, making a stunning contrast to the heavy marble. Does not include a hook for the ceiling. Clean with a damp cloth.